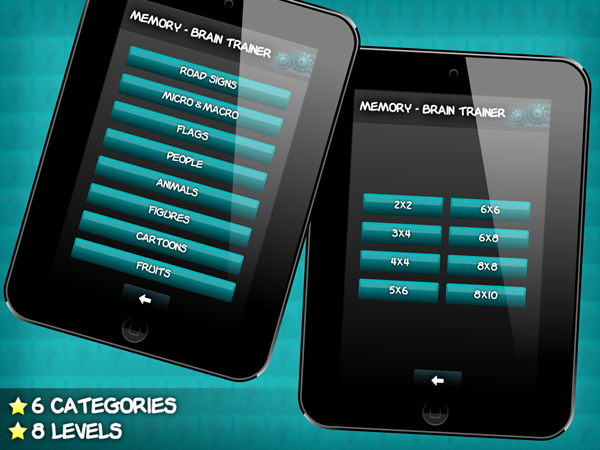 Want to improve your concentration and memory skills? 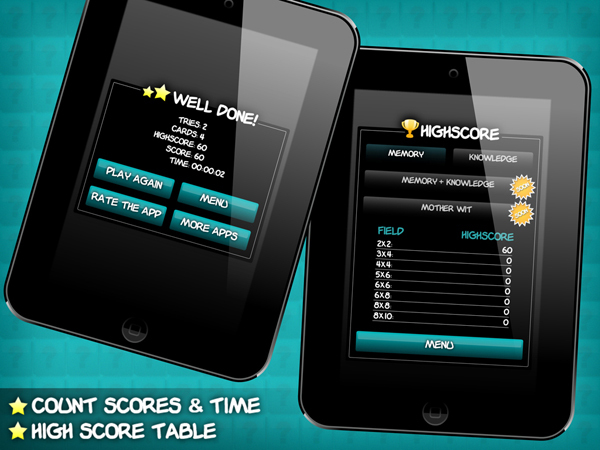 This game is for you - exciting educational game for all ages! 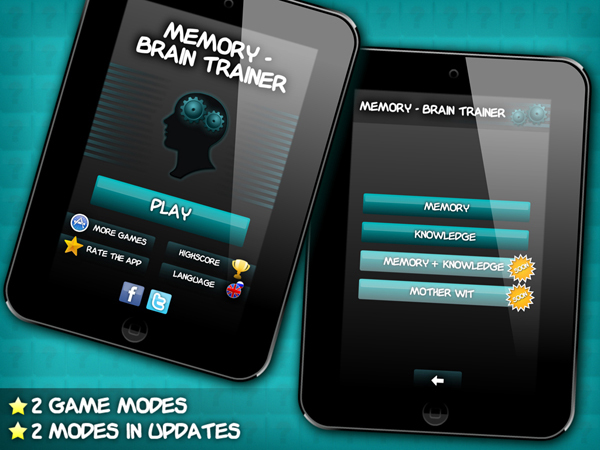 It stimulates the brain and the attention span, trains visual memory and logical thinking. 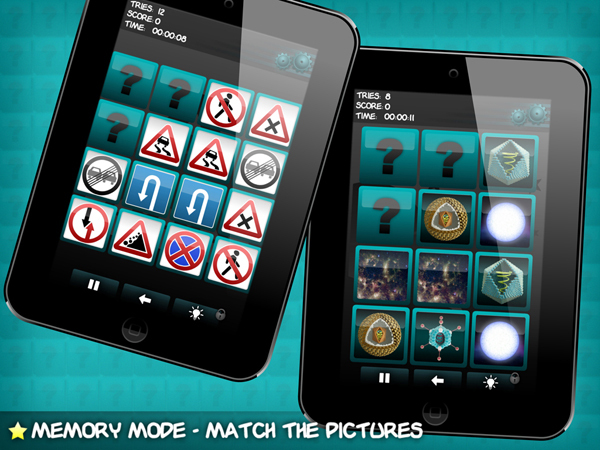 ★ 8 categories of cards: cartoon characters, road signs, flags, animals, celebrities, fruits, musical instruments, etc.